Ko Ah-Sung was born on August 10, 1992 in Seoul, South Korea. Her family consists of her parents and two older sisters. When Ko Ah-Sung was 4 years old she starred in her first CF and at the age 13 began her acting career in the KBS children drama "Woolribeulra Beulroojjang" (울리블라 블루짱). In 2006, Ko Ah-Sung acted in her first feature film "The Host," which became the highest grossing Korean film of its time. The movie centers around a monster that comes out of the Han River to kidnap a young girl played by Ko Ah-Sung. Her performance received the attention of many and Ko Ah-Sung received the "Best New Actress" award at the 27th Blue Dragon Film Festival. Ko Ah-Sung was cast for "The Host" thanks to the recommendation of co-star Bae Doo-Na, who previously worked with Ko Ah-Sung in the 2005 MBC drama series "Six Love Stories". Ko Ah-Sung was initially reluctant to perform in "The Host" but was persuaded by movie director Bong Joon-Ho & her mother. Following "The Host," Ko Ah-Sung appeared in "The Happy Life" and "Radio Days" which were far less successful at the box office and received lukewarm critical response. In 2009, Ko Ah-Sung decided to act in "A Brand New Life," a joint French-Korean production directed by Ounie Lecomte and produced by Lee Chang-Dong. In "A Brand New Life," Ko Ah-Sung played a disabled young girl with one leg. Ko Ah-Sung later revealed that she wanted to take part in "A Brand New Life" immediately after reading the script. To prepare for her role in "A Brand New Life" Ko Ah-Sung read Moon So-Ri's diary and a documentary on the film "Oasis," but they didn't provide as much help as she hoped. Eventually, Ko Ah-Sung observed handicapped people on the subway, but that experience caused a personal panic attack within her. 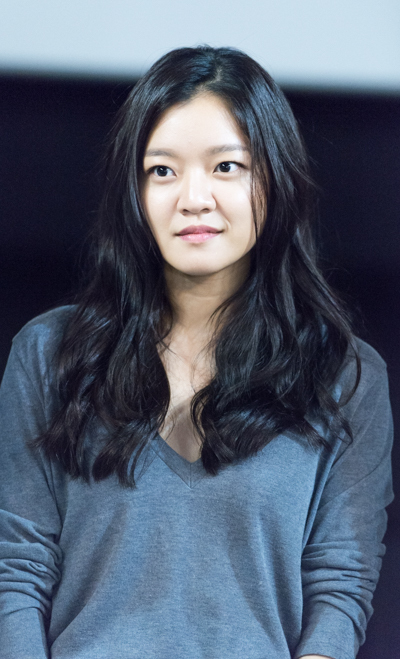 Ko Ah-Sung initially attempted to portray her character to elicit pity from the audience, but Ounie Lecomte advised Ko Ah-Sung to try another avenue. In 2010 Ko Ah-Sung acted in the KBS2 drama "Master of Study" with Yu Seung-Ho. Outside of acting, Ko Ah-Sung enjoys traveling alone and taking pictures. Ko Ah-Sung's photo's were displayed at the 5th annual Seoul Open Art Fair (April 22-26. 2010), alongside actors Ha Jung-Woo & Eom Tae-Woong. Ko Ah-Sung became interested in photography through friend and fellow actress Bae Doo-Na. Ko Ah-Sung also enjoys painting and music. On May 6th, 2010, Ko Ah-Sung performed live on stage with musical performers Sung Ki-Won and Beetlejuice at the Hongdae Mudaerok. Chakita3 Apr 11 2019 10:34 am Such a raw talent, love her approach to the characters she plays, absolutely great work, thank you and I believe she will be one to watch in the years ahead. Such beauty and charm, KOS Fighting! I look forward to your future works, thank you! 815 Jan 18 2019 8:50 am She did a great job in Snowpiercer despite the limited screen time. I can see her being the next Kim Yun-Jin or Bae Donna and casted in Hollywood TV series. DDD Jul 03 2018 12:15 am Yoon Na Young ? El Jan 27 2018 1:26 am My all-time favorite actreess ❤ I hope she get more amazing project ? miss her so much!!! mary Oct 07 2017 6:55 pm this young lady is awesome in her acting!! Jack Jul 16 2017 1:50 pm She's so pretty and talented. I love her performance in Radiant Office. shiny Jun 07 2017 5:04 am i been admiring her since i was 11 years old till now i'm 23. the first time i'd known her was the movie The Host, till Master of study- whom i despised the character of Ji yeon the most because of appearance discrimination., then The Elegant Lies, the office, heard it through the grapevine, melody to remember, snowpiercer, and now Radiant Office. i am so glad because she didn't change or i mean getting a plastic surgery just to suit herself in today's beauty. She's next to my all time favorite actress Jun Ji Hyun. i hope she's doing more dramas now.. she was really a great and versatile actress. Hotelier May 07 2017 11:33 am I like her character in Radiant office. She also have a good chemistry with other cast. I will try to watch her other dramas, such as "Heard it through grapevine". Aja2 fighting Ko Ah sung ssi. Seol Apr 27 2017 9:16 am Haha. I thought I just mistakenly saw you in the The King coz' I only knew the leads. Haha..saranghae~ Also, love Radiant Office. Fitri Apr 15 2017 10:35 am I am a new fan of her. First drama that I watched is Radiant office. Her acting is so natural. I started watched her movies Elegant lies and Office. She is great!! Will watch Melody to remember soon.. keep the goodwork!!! Anna Apr 12 2017 10:16 pm Superb actress. More drama please! Kiki Apr 09 2017 4:04 am Been a fan of her since day 1. ??? Lilly Mar 21 2017 4:41 am One of my favorite actresses!! Just fell in love with her after seeing her in God of Study man she made me cry so much in it. If there's one thing I ask for in the k-drama world is that she gets to play another role with Yoo Seung Ho!! They had so much chemistry, it just melted my heart. But for now I'll settle with watching her in Radiant Office alongside the gorgeous Ha Seok Jin ? agnes May 27 2015 5:53 pm congratulations! Ceci Apr 19 2015 4:42 pm This girl has one of those unique beauty that's just so rare to see! So if anything she's uniquely gorgeous in my eyes but then again people are just always into those typical face but what's the fun there? Anyways aside from her beauty she's an amazing actress! She's just so natural an not any of her expressions look forced! The list of movies she's starred in is also impressive especially for somebody young like her! Go ah sung FIGHTING!! Btw she reminds me so much of Esom!! Are they in any way related?! @arvien_dompas Apr 26 2014 8:05 pm What is her twitter name ? tyo Dec 25 2013 9:24 am i'm sorry before, but she looks like Shun Oguri for me. she is cute btw. kheandra kearl bernabe Nov 26 2013 2:00 am i hope you will work again with joo seung-ho!!!!!!!!!!!!! your so beautiful!! Luki Feb 14 2012 5:10 am not really satisfied with her acting in the god of study... hope she'll do better in her next project.. if there will be one..
tncdel Jan 08 2012 8:20 pm She's a good young actress. But she has a borderline ugly face. alkimtrixson Jan 01 2012 2:47 am saranghae unni!!! keep up the good work-------you're so cuuteeeeeeee!!!!!!!!!! So-joo Oct 03 2011 4:26 am Wow, it's been a long time since I saw this actress when she starred in 울라불라 블루짱 (Oolla Boolla Blue-jjang; this entry has the spelling/pronounciation wrong.) I used to be such a fan of that show. Seeing her in a variety of shows like The Host and God of Study has made me realise how much of a talented actress she is. hey and i wish you and hwang baekyeon will "magkatuluyan"
suou May 29 2010 7:14 am Thanks for the biography ^^ I love her so much. beibei Apr 30 2010 11:29 am you so cute with lee hyun woo in master of study. want sequel with you and him. salliah Apr 19 2010 11:03 am Like her in Master of Study, admire her personality. Also her sweetness & cuteness. vinda Mar 26 2010 9:26 am No, that height is from few years ago. She had grow up since then. Now I think she's in 160 cm range. 2468 Mar 24 2010 9:12 pm is your heigh only 145?????? i do not believe. Try to watch Master of Study, an 16 eps drama. She's very cute there. Her role is really good, you will like it. It's her newest project. darkert Mar 10 2010 11:58 pm I love you in GoS. At first, I want to watch GoS just because of Jiyeon, but you immediately change my heart just with a few scenes. Since then I don't care at all for Hyunjung character, just rooting for Pulip. suou Mar 09 2010 10:27 pm I already love her since The Host, but then I kinda forget it. However God Of Study had return my interest back at her. She's really cute & very talented for someone so young. Hope to see her more often in the future. Before GoS she's only starred in movies, hopefully after GoS success, she will get many chances in drama series too. "<괴물>의 고아성, 꼬마 숙녀의 떨리는 가슴", "Cine21," July 21, 2006.